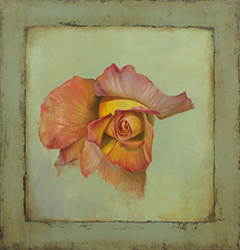 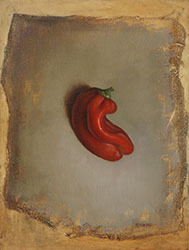 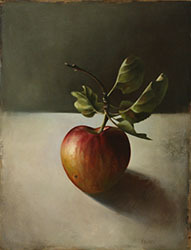 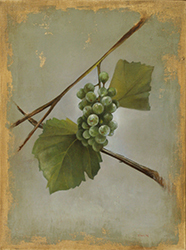 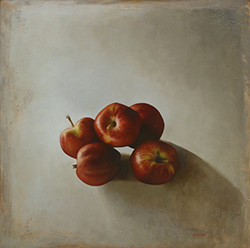 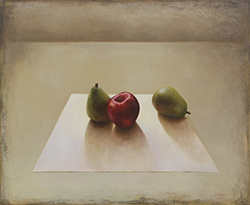 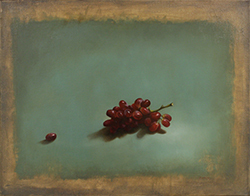 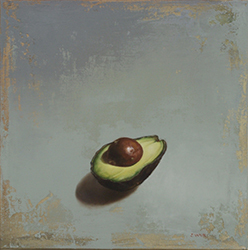 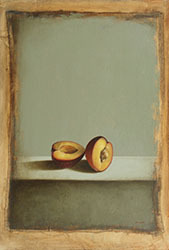 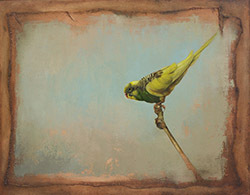 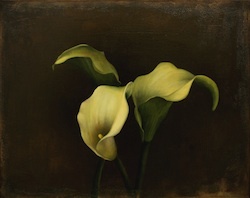 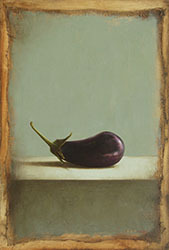 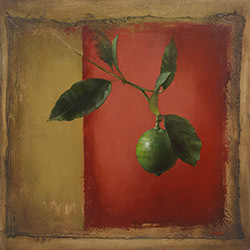 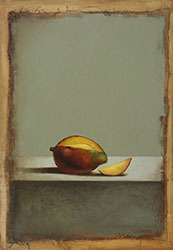 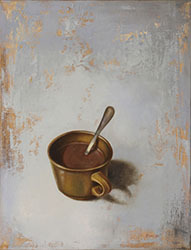 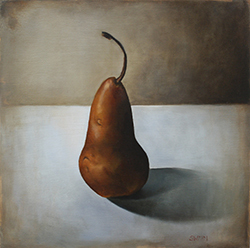 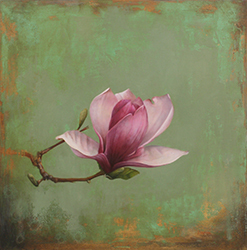 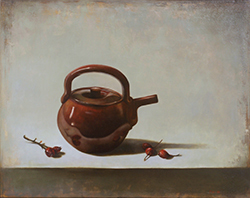 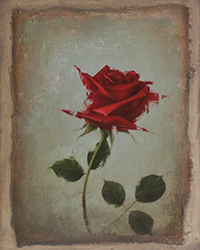 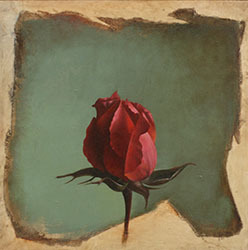 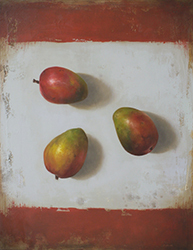 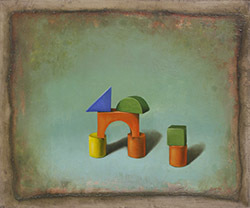 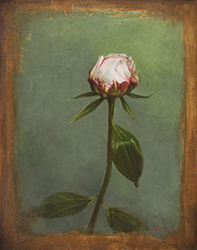 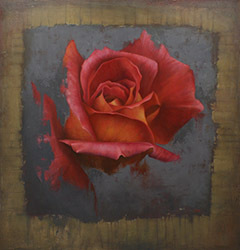 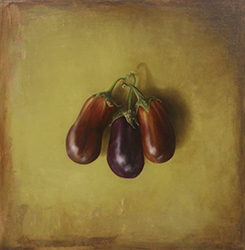 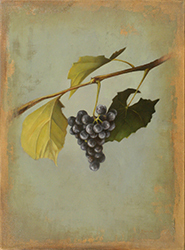 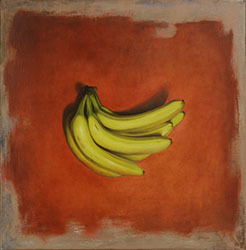 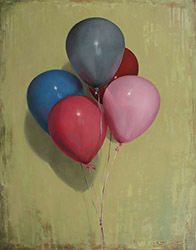 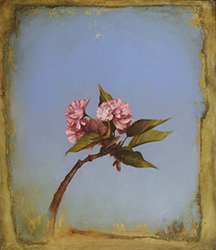 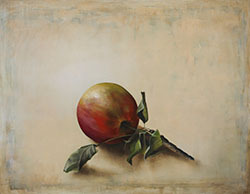 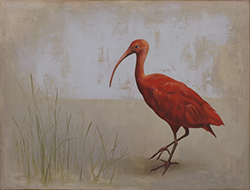 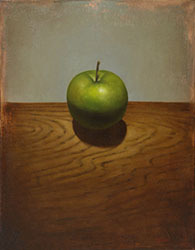 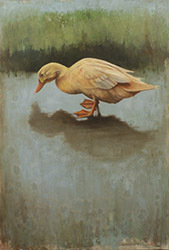 Convergence Gallery is pleased to represent the timeless paintings of contemporary realist Tyler Swain. 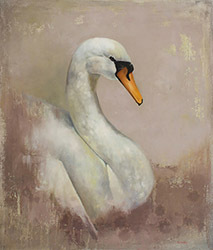 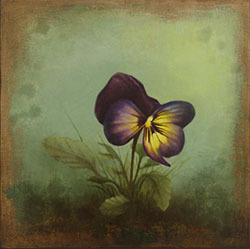 Swain often places the most delicate subjects from the natural world against distressed and weathered backgrounds. 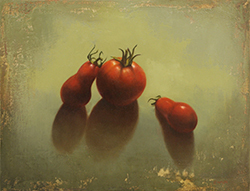 There is a quiet reverence in the flawless rendering of these paintings, which call our attention to the fragility of life. 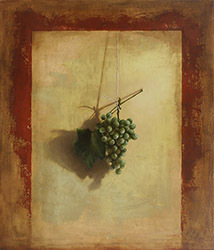 According to Swain, "Leonardo DaVinci once said that 'simplicity is the ultimate sophistication.' 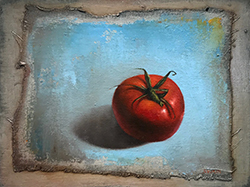 I have found great inspiration and purpose from observing the simple things in my daily surroundings--particularly those found in nature. 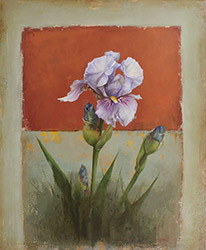 My aim as an artist is to pay homage to these creations and to allow the viewer to connect in a new and deeper way to the subject." 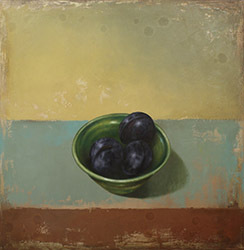 Swain holds a BFA from Utah State University, where he studied with Fulbright Fellow Christopher Terry. 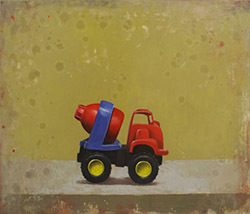 In January Southwest Art Magazine included Tyler Swain in their annual "10 Artists to Buy Now." 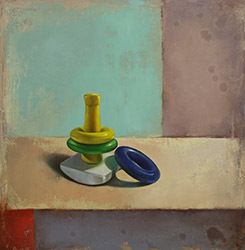 oil on canvas, 14" x 16"
oil on muslin panel, 20" x 16"
oil on canvas, 30" x 40" oil on canvas, 36" x 24" oil on canvas, 24" x 20"
oil on muslin panel, 24" x 20"
oil on muslin panel, 16" x 12"
oil on panel, 12" x 12"
oil on muslin panel, 16" x 16"
oil on muslin panel, 21 1/2" x 14 1/2"
oil on muslin panel, 20" x 20"
oil on canvas, 16" x 12" oil on canvas, 24" x24" oil on canvas, 40" x 30"
oil on muslin panel, 21 1/2" x 14 1/2" oil on canvas, 16" x 20" SOLD oil on canvas, 12" x 12"
oil on canvas, 16" x 12" oil on canvas, 20" x 20" oil on canvas, 16" x 12"
oil on muslin panel, 9" x 12"